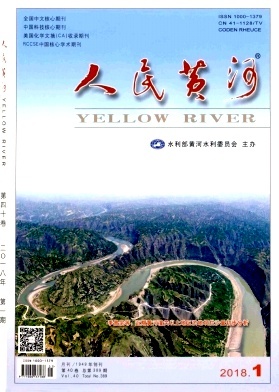 Type Selection and Design on East Lake Diversion Dam Project of Luohe River HUO Xiangli;TIAN Jingang;WANG Jiahui;Luoyang Water Resources Survey & Design Co.
Study on the Parameters of Bank Failure and the Influence Factors of Yuanqu Section in the Xiaolangdi Reservoir Area YANG Jinlin;WU Guohong;LIU Qingjun;WANG Yaojun;Yellow River Engineering Consulting Co.
Dongzhuang Hydro Project Diversion Tunnel Layout Design ZHANG Chunsheng;YANG Daopo;DONG Jingyan;Yellow River Engineering Consulting Co.
Study on Sluice Concrete Carbonation Depth in the Middle and Lower Yellow River ZHANG Xiaoying;SONG Li;HE Gangzhong;Yellow River Engineering Consulting Co.
Regression Analysis of Dam Observations Which Link Up the Collimating Line with the Vacuum Laser LUO Wenguang;HU Shengwei;WEN Pin;HU Mingxiu;Sichuan Shuyu Water Resources and Hydropower Engineering Co. Measurement of Hydrogeological Parameters by Packer Test with Unsteady Phreatic Flow CHEN Zhiqiang;GAO Chengcheng;REN Shuiyuan;OU Yu;General Administration Station of Guizhou Water Resources and Hydropower Construction;Guiyang Institute of Water Resources & Hydropower Survey and Design;Guizhou Qianlong Construction Projects Management Co. Influence of Water Cooling on Thermal Stress of Lining Concrete of Tunnel MA Teng;DUAN Yahui;Yalong River Hydropower Development Co.